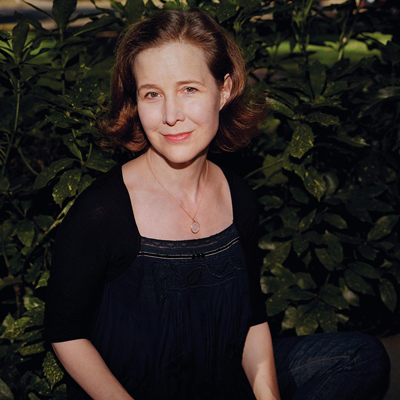 While Ann Patchett is probably best known for her novels or even her ownership of Nashville’s Parnassus Books, she supported herself for many years at the beginning of her career as a nonfiction writer. With her new book, This is The Story of a Happy Marriage, she has collected many of these essays (previously published in Atlantic Monthly and Harper’s, among others) and assembled them, often rewriting them to more accurately reflect her own experience. The cumulative effect is engrossing, leaving the reader with a panoramic view of Patchett’s life, where each piece shines a unique perspective on the events and people in Patchett’s world. Brendan Dowling interviewed Patchett on June 30, 2013, right before she keynoted the PLA President’s Program and Awards Presentation at the ALA Annual Conference. Public Libraries: The way that the essays are organized in the book really fleshes out the reader’s understanding of the people and events in your lives. I wanted to start by asking what was the challenge of selecting and organizing the essays? The way I put it together, as I think I say in the introduction, is a friend of mine sort of forced me into this and she brought me a group of [my previously published] essays. So I would read what she had put together and then I would think, “Who’s the weak sister?” And I would pull out one or two essays and then I would go back and try to write something that filled in a part of the story that was missing. And then I would read the whole book again and think, “Who’s the weak sister?” And by doing that, over the course of about two years, it was amazing how few essays stayed. Even at the very end I was pulling stuff out and putting other things in or combining several old essays to make a new one. The order really evolved. PL: Your family and your romantic relationships are a big topic of these pieces. In writing these essays, how do you strike the balance between revealing intimate details about you and your loved ones’ lives while still respecting their privacy? AP: All the pieces were published before the book came out so that’s an easy justification. Although, it really means something else entirely when you put them together. Weirdly, they become much more personal because they all deepen. I think the title essay was the one I was most worried about. I gave it to my husband, my mother, and the middle stepfather – the one who gets such a bad rap in the essay. So I gave it to the three of them to read before I published it, and my stepfather was not happy but then he came around. He actually got on a plane and flew to Nashville to sit down and talk to me about it. And that was okay–we got through it. My husband and my mother were both, “Oh, no. It’s fine. It’s totally fine.” So on one hand it does seem really personal, but then on the other hand, I think I’m the only person who’s not on Facebook. Isn’t everybody revealing everything? I think that it’s more that it’s emotionally vulnerable or honest than it is I’m revealing great facts about my life. I had an affair when I was twenty-five. I’m forty-nine. Who cares? It’s not exactly breaking news. PL: But it’s still brave to put out that information and be so exposed. AP: Yeah, but I tell you, my sense of privacy–and I have a very developed sense of privacy— has nothing to do with facts. Any fact in that book you could find out if you rolled up your sleeves and went to work on it. Privacy is what’s going on in my head, what I’m thinking about, my hopes and dreams and what I want to do with my life. PL: In “The Getaway Car,” you write about how valuable having a reader has been for you, and the role that Elizabeth McCracken and Jane Hamilton have played as you write your novels. What role do these readers play and what are the hallmarks of a great reader? AP: Somebody who’s quick, somebody who’s very direct, somebody who gives me real hands-on advice and criticism. The person who really reads for me now is Miele Meloy, who if she wasn’t such a great writer, I would really think she should become an editor, especially with the essays. Elizabeth has always worked with me on fiction but not on nonfiction—that’s really been Miele. So all of these essays, Miele has had some hand in. I can send her an essay and man, she’s just laser smart. “Take this sentence out. Move this sentence around.” She just cleans everything up. It’s the difference between me making my bed and a really great hotel making my bed. It’s just so perfect. And I think sometimes we can’t do that for ourselves. I can take my work 98% of the way but that little two percent, that final straightening, it’s really wonderful to have somebody else’s eyes on it. And I never want my editor to do it because I’m so parochial, I’m such a good student. I want my homework to be perfect when I hand it in. So I don’t want to give it to my editor and say, “Can you fix this?” I always want my editor to say, “This doesn’t need anything at all!” because I’ve been leaning on my friends. PL: Do your editors ever get jealous of your friends? PL: Correct me if I’m wrong, but for your writing process for your novels, you write the novels first and then use research to fill in the gaps. What role does research play in your writing? AP: For fiction, I do try to use it to correct myself. A lot of times I’ll do my research if I’m halfway through a novel because if I start with the research I just don’t ever stop. It’s just so interesting. If you’re writing about evolutionary biology and you think, “You know, I really need to read this book about evolutionary biology,” what you learn by reading the book is you need to read ten more books and maybe go back to college and then maybe go to graduate school. It just always proves what you don’t know. And also, I really hate a book in which someone has clearly done an enormous amount of research, and therefore they’re going to force every fact they learned on me. So I think by using research as a means of correcting you’re not as likely to see the hand of research in the book. and then write the piece. PL: So for that essay in particular, the research was the actual doing of it? Was there any background reading that you did? AP: That’s a funny piece, because it was a terrible piece. I wrote it for Outside magazine. It was an editor I only worked with that one time—and I don’t think I’ve ever had this experience—but he wrote like, half of it and didn’t run it by me. It was very much a service piece. There were all of these facts about how many RVs are sold and what their fuel consumption is and how many accidents RV have. It was stuff I didn’t write, didn’t read, wasn’t interested in. And none of the personal stuff was in that story because it wasn’t appropriate for Outside magazine to write about my relationship with my boyfriend. When I started putting the book together, I pulled that piece out and I read it—and it was a bad piece and I wasn’t going to put it in the book—but I was overwhelmed with the memories of the really big things that happened on that trip and how it really did play a role in the arc of the narrative of the book. So I threw out ninety percent of it and just rewrote it, sort of wrote the story of what really happened. I kept the beginning where we pick it up and kept the very end where we turn it in, [and then wrote] all the stuff about the motorcycle ride and our not being together and kind of coming back together that I had never written in the [original] piece. It was really fun. You get to go back and have your say. PL: I wanted to talk about Bel Canto being adapted into an opera, particularly because you’re so passionate about opera. What does it mean to you to see your book adapted? Do you have any role in the opera’s creation? AP: I don’t have any role. I’m happy for them. I hope it all goes well. That’s almost all I’d want to say on the subject because it has almost been so many things. It’s almost been an opera two other times. It’s almost been a movie six times. It’s almost been a Broadway musical. And everything falls apart. These things happen, and everybody’s like, “Aren’t you excited?” and I’m like, “Not so much.” I hope it happens. I love the Lyric, everybody seems to be completely on top of it, but every experience I have had thus far in seeing Bel Canto changed into something else has never come to pass. I like to think it’s because I’ve been saving myself for the Lyric all this time. So we’ll see. PL: It’s one of those things where it’s almost better to wait until it’s actually here? AP: I always think, “I won’t buy a dress until a couple of weeks before.” Whatever it turns out to be, I’ll be happy. Once I finish a book I never read it again and I really forget about it completely. I have no sense of ownership about Bel Canto or any of my books. I sold it to a bunch of really smart, talented, creative people and I bet they’ll do something really interesting with it. But it’s like I don’t have a horse in the race. PL: Why aren’t you interested in looking back at your past work? AP: I’ve got books to write! I’ve got books up ahead. AP: And also, you write a book and you’re so in it and you care so passionately. It’s your whole world for two or three years and you read it over and over and over again as you edit it and copy-edit it and proofread it and take other people’s advice and rework it that by the time, it’s done. PL: How has co-owning Parnassus Books shaped how you view the role of the library? AP: I’ve been on the library board a lot longer than I’ve owned a bookstore and I’ve been a spokesperson for libraries for a long time. I speak at a lot of libraries and have been very vocal about my support of libraries and the importance of libraries in the community. It’s been a wonderful thing because the fact that I’ve been so involved with my library, and now that I own this bookstore, I’ve been able to create a partnership between these two entities—not by myself by any means. But it’s such a logical partnership. A lot of people think, “Well, here’s one organization that’s selling a book and another organization that’s loaning them out for free, so they should be at odds with one another.” And they’re not. There’s not an endless number of people who really want to read and really care about books. We need to all pull together and expand our audience as much as we can. I would say I’m in even deeper with the library now since I’ve had the bookstore. Also, when we lost our bookstores in Nashville the library really jumped in. I was an orphaned author! When I was on book tour for State of Wonder, my hometown bookstore was gone. I was scheduled to read at Davis-Kidd and it was gone. So the library stepped in and said, “You can have the reading here.” I remember things like that. I really hold on to the nice things people do for me and make sure it all comes back.